What comes up in your brain when you hear this word? Probably the sport you’re practicing now or the one you love watching on Tv or the one you used to practice when you were a child. Whatever it is that comes into your mind, that’s probably the sport you love most and maybe would like your kids to learn to love too. Without any doubt, Australians are a sporty nation, they love, practice, watch any kind of sport. They are so much into it that they don’t even notice that for other cultures/Countries it’s not like that. Talking to Australian moms I have found out that their children (4-6 years old) practice 2 to 4 different sports every week. This is what it’s expected from them. I guess this is what this society is used to. There is nothing strange in it, nothing wrong with it. This is it. It’s the way your life should be if you are born in Australia. My Italian background drives me to a different approach. Considering that Italian children of this generation are suffering from obesity and spend too much time in front of the television, it’s probably not a good approach, not healthy enough but still, most of Italian families introduce one sport at the time to their children. Generally speaking In Italy children practice their favourite sports once, sometimes twice per week. Is this wrong? Is this not enough? Probably if you ask to an Australian person they would say it’s not enough. I say, the answer depends from your culture/background. Said so, my personal background is very different. I grew up doing gymnastics every day, 2-3 hours every day! I used to have competitions on Sundays and I had nearly no time for my private life, the gym was my second home, the coach and the other gymnasts were my “family”. I spent 8 years of my childhood this way. I don’t regret any single day, I’m happy I did it, I would probably be a different person if I hadn’t had gymnastics in my life. 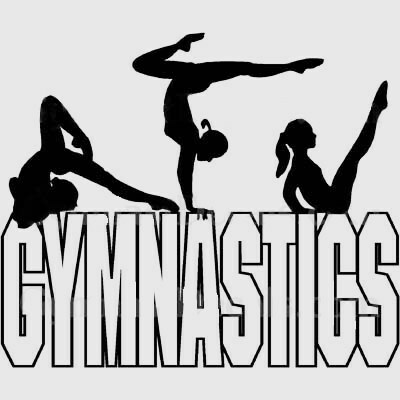 Gymnastics made me the person I am now. What I really wanted to write about was how I felt yesterday when I took my Little Miss Daydream to her first gymnastic lesson. She had lots of fun and decided she wants to go back next week. Fine! The thing is, while I was watching her doing her exercises, there was a group of young gymnasts practicing very hard to get ready for their next competition. I couldn’t help watching them and thinking they were amazing, I kind of new what was going on in their heads because I went through the same exercises a few years ago. I know very well the adrenaline feeling, the concentration you need every single moment to make a certain move on the beam and so on…There was a mixture of feelings going on in my head, it was as if I had found again the place I once called “home” even if I’m now living 16 thousands kilometers from there. I fear I want to go back to the gym more because I miss it than because my daughter likes it. I know it’s not true, I know she likes it so far. I just need to make sure I don’t push her where I want her to go (I’m pretty sure I would prefer her not to become a gymnast), I have to make sure I follow her feelings and listen to her. So, yesterday I suddenly realized that when you say SPORT to me, it equals GYMNASTICS (but this doesn’t mean I don’t like/consider other sports). What will be my children’s answer in a few years? What will be the sport they’ll fell in love with? I suppose each sport is somehow linked to one’s personality, it kinds of completes you. Would it make sense to ask: which sport are you?